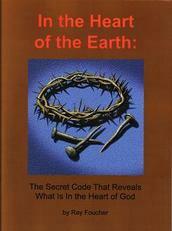 The author of "The Islamic Antichrist" writes that Evangelical Christians are now observing the month of Ramadan! Religion seems to be getting more confused all the time. And so is everything else in this world. Read a couple of interesting environmential articles and more of what is happening with Iran. Also, be sure to watch the Dr. Blaylock videos to be more informed on the swine flu issue. "Leaders of the 'emergent church' movement within evangelical Christianity are 'observing' the Muslim month of Ramadan, writes the author of the bestselling new book, 'The Islamic Antichrist,' which contends that the Beast of Revelation is most likely to emerge from within the Muslim world. "'This year, a group of "Emergent Christians," led by one of the United States' most influential pastors, Brian McLaren, have announced they will actually be "observing" the Muslim holy month, along with a Muslim "partner,"' writes Joel Richardson. 'Ramadan is the month that Muslims thank Allah, their god, for revealing the Quran to Muhammad, their prophet.'" Ray's comment: The author of The Islamic Antichrist and others must be questioning why a Christian church, supposedly Bible believing, would be observing Ramadan. It seems like a Christian church would, if it wanted to keep feasts, keep those specified in the Old Testament. "The spores arrived from Kenya on dried, infected leaves ensconced in multiple layers of envelopes. "Working inside a bio-secure greenhouse outfitted with motion detectors and surveillance cameras, government scientists at the Cereal Disease Laboratory in St. Paul, Minn., suspended the fungal spores in a light mineral oil and sprayed them onto thousands of healthy wheat plants. "After two weeks, the stalks were covered with deadly reddish blisters characteristic of the scourge known as Ug99. "Nearly all the plants were goners." "Crop scientists fear the Ug99 fungus could wipe out more than 80% of worldwide wheat crops as it spreads from eastern Africa. It has already jumped the Red Sea and traveled as far as Iran. Experts say it is poised to enter the breadbasket of northern India and Pakistan, and the wind will inevitably carry it to Russia, China and even North America-if it doesn't hitch a ride with people first. 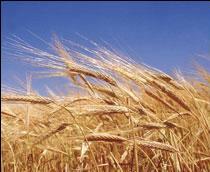 "Fear that the fungus will cause widespread damage has caused short-term price spikes on world wheat markets. Famine has been averted thus far, but experts say it's only a matter of time." 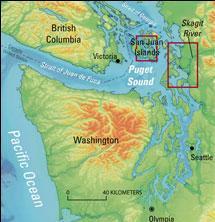 WASHINGTON -- Using sophisticated seismometers and GPS devices, scientists have been able to track minute movements along two massive tectonic plates colliding 25 miles or so underneath Washington state's Puget Sound basin. Their early findings suggest that a mega-earthquake could strike closer to the Seattle-Tacoma area, home to some 3.6 million people, than was thought earlier. "The deep tremors, which humans can't feel, occur routinely every 15 months or so and can continue for more than two weeks before they die back to undetectable levels. "Since the deep tremors were first detected 15 years ago, scientists have been trying to determine what was causing them along the Cascadia subduction zone. ""It's a burst of noise that can go on for up to 24 hours over a period of several weeks,' said Herb Dragert, a geophysicist with the Geological Survey of Canada in Victoria, British Columbia, who was among those who first developed the theory. "What's unique about the deep tremors, which occur in an area stretching roughly from Olympia to Canada's Vancouver Island, is that they reappear about every 15 months. While tremors have been detected elsewhere along the Cascadia subduction zone, none is as regular or as prolonged as those in the Puget Sound basin, Dragert said. "According to the timetable, episodic tremor and slip should be going on just about now. Instead, it came last spring, catching scientists by surprise. Malone said that some tremors were detected southwest of Olympia last week, but that it was too soon to determine whether they were part of a new episode or just isolated ones." "Concerns about Iran's nuclear capabilities -- and their potentially devastating impact on America -- are mounting, a special report from Newsmax.TV reveals. "You can see Newsmax. TV's report on the growing Iranian nuclear threat -- Click Here Now. "The Islamic republic has test-fired missiles capable of reaching Israel, southeastern Europe, and U.S. bases in the Mideast -- and published reports say Iran is within a year of developing its own nuclear bomb. "Security experts warn that even one nuclear device in the hands of a rogue nation could be used against the United States in a devastating electromagnetic pulse attack, an intense burst of energy from an exploding nuclear warhead high above the Earth. "So why isn't the Obama administration doing more to prevent a nuclear nightmare? "'I get very, very nervous about it,' Rep. Pete Hoekstra, R-Mich., told Newsmax.TV's Kathleen Walter. 'I think Iran will have a nuclear weapon. I think now it's only a question of when.'" Ray's comment: And now (end of September 2009) we hear that they have had another nuclear site in hiding for some time. Unless Tehran responds by late September to international proposals on its nuclear program, history strongly suggests the Israelis will act alone. "Iran has until late September to respond to the latest international proposal aimed at stopping the Islamic Republic from developing a nuclear weapon. Under the proposal, Iran would suspend its uranium enrichment program in exchange for a U.N. Security Council commitment to forgo a fourth round of economic and diplomatic sanctions. "If Israel attempts such a high-risk and destabilizing strike against Iran, President Obama will probably learn of the operation from CNN rather than the CIA. History shows that although Washington seeks influence over Israel's military operations, Israel would rather explain later than ask for approval in advance of launching preventive or preemptive attacks. Those hoping that the Obama administration will be able to pressure Israel to stand down from attacking Iran as diplomatic efforts drag on are mistaken." "In a radical report, the UN Conference on Trade and Development (UNCTAD) has said the system of currencies and capital rules which binds the world economy is not working properly, and was largely responsible for the financial and economic crises. "It added that the present system, under which the dollar acts as the world's reserve currency, should be subject to a wholesale reconsideration. "Although a number of countries, including China and Russia, have suggested replacing the dollar as the world's reserve currency, the UNCTAD report is the first time a major multinational institution has posited such a suggestion." The USS America is sinking -- and Japan is getting off while it can. "For over 50 years, one party ruled Japan virtually uninterrupted. During that time, Japan remained a loyal ally and supporter of U.S. policy. This month, a historic event took place. "Japan has new leadership. In a landslide victory, a new party has done the seemingly impossible. A new freshman class of leaders now governs the Land of the Rising Sun. The effects are already rippling across the Pacific toward America. "Yukio Hatoyama is Japan's new leader. He officially took office last Wednesday, and he is already threatening to split with the United States. "If Japan were to follow through with its threat to only lend in yen, the dollar would probably fall hard. What would that mean? America gets more expensive consumer goods, higher unemployment, and currency inflation. If other nations like China follow suit, we would be looking at a currency crisis -- Zimbabwe style." Food for thought The US is both the world's biggest lender and the world's biggest debtor. - Can this actually work?